In Virginia, a law enforcement officer is required to complete a Police Crash Report (Form FR300P) only if there is a complaint of injury, or if the total property damage exceeds $1,500.00. The officer is required to file a copy of their report with the Virginia DMV within 24 hours of completing his or her investigation. When you are involved in a relatively minor automobile accident with property damage to the vehicles estimated at less than $1,500 and there are no injuries reported at the scene, the officer will most likely designate your accident as “non reportable”. When that happens, rather than complete the Police Crash Report, the investigating officer will usually obtain limited information from the drivers and give each of them an “Exchange of Information” form. Even if a police officer is not called to the scene, you are required to provide certain information to the other driver if you are involved in a motor vehicle collision. If injury or death results from the collision, then you are required to report the incident to the police. Whether you are at fault or not, if you are involved in a motor vehicle collision, you should report the incident to your auto insurance company promptly. (Your policy probably requires this; if you fail to report the accident to your insurance company, the company could deny coverage to you if someone later claims the accident was your fault). Often the other person’s insurance company will contact you within a few days of the collision, which may be before you’ve thought about hiring an attorney. Sometimes insurance companies try to settle the property damage claim with you quickly, and convince you that you don’t need an attorney for your injury claim because they will take care of your medical bills. The insurance companies try to convince you that you are “in good hands” or that they are “on your side”. If your injuries don’t seem serious and you expect to feel well soon, you may think the insurance company adjuster will make you a fair and reasonable offer for your vehicle repairs and pay your medical bills. But often when the time comes for the insurance company to pay on your claim, whether it’s the property damage or for your injuries and related losses, the offer is far below what you were expecting. Or the insurance company keeps dragging it out, asking for more information or claims they are still “reviewing” the file. In many cases, the insurance company won’t even pay your medical bills. When you get frustrated enough or mad enough about how unfairly the insurance company is treating you, then you finally go to an attorney. Insurance companies are often skeptical about settling an injury claim from a non-reportable accident. They think the injured person will have a hard time convincing a judge or jury that a significant injury could be the result of a collision that caused so little property damage to the vehicles. In essence, they equate the lack of property damage (often referring to these collisions as “fender benders”) with a lack of injury. However, people are injured every day in collisions that do not cause a lot of damage to the vehicles. Doctors treat many people that are injured as a result of collisions that cause property damage to the vehicles amounting to $1,500 or less. Sometimes a minor impact can aggravate a pre-existing condition and cause pain for an extended period of time. Other times the way a person is sitting (turning, twisting or leaning) or has their head positioned in the car may result in serious injury from an impact that causes very little damage to the cars. If you want to obtain a fair recovery in money for the injuries you have been caused from a non-reportable accident, it’s helpful if you have the “Exchange of Information” form you received at the scene. This will help your personal injury lawyer determine when and where the collision took place, who the other driver was and how to locate them, as well as other helpful information. These details can help your attorney handle your case more rapidly and less expensively with lower costs. All you may have from your conversations and correspondence with the claim representative is the claim number and telephone number. The insurance company letter to you may not even have the defendant or their insured’s name written on them. Because the car crash was non-reportable, even if a police officer came to the scene, the officer is not likely to remember this information since no report was filed with the Virginia DMV. Where is that paperwork – the Exchange of Information Form – that the officer, deputy, police officer or state trooper gave you at the scene? The exchange of information form usually contains the following: name, address, phone number, driver’s license number, license plate number, vehicle model, make, year, color, and the liability insurance company. (If the drivers do not call a law enforcement officer to the scene of the crash, the drivers involved should obtain this information from each other). This information can be critical for your attorney to properly handle your claim, so keep the form in a safe place. The insurance company has told their policyholders that if they are involved in any motor vehicle accident, fender bender or non-reportable, they should report the accident. Even if the other party shows no evidence of injury at the scene and doesn’t mention an injury you should still exchange the information described above with the other driver. Why is the Exchange of Information Form so important? You have the name and address of the insurance company and claim representative you have been dealing with for weeks/months. However, remember that should you and the company claim representative not be able to settle your case, you don’t sue the insurance company; you have to sue person you say caused the collision. If you go to trial, the judge or jury doesn’t even know who the insurance company is or even if there is one. The insurance company is just who pays the verdict or judgment; the insurance company is not who you sue. As your attorneys, we sue the person who was driving the vehicle; therefore, we need the correct name and address of that person so we know who to sue. Although we usually continue to negotiate with the insurance company, the only way we can force the insurance company to pay the claim is to sue and get a verdict against the negligent driver and then get the insurance company to pay it. The insurance policy provides that the insurance company will hire an attorney to defend the negligent person against the lawsuit, and then will pay the verdict up to the limits of the insurance policy. The Exchange of Information form can be very important in a claim for motor vehicle injuries resulting from a non-reportable accident. In Virginia, you generally have two years from the date of the accident to file a bodily injury claim lawsuit or you lose your right to do so, and thus, your right to recover for your injuries. It is very difficult to be sure that you have filed a lawsuit against the correct person without the correct name and address of the defendant, especially if the defendant has a very common name like Jones, Smith or Williams. Failure to keep pertinent information on the form, like the driver’s name or address, could be devastating to your case if you have to file suit. Researching this information can be very costly. Normally the claim representative will not voluntarily give you (or us) this information. Under Virginia law, if your case doesn’t settle, then we can file a lawsuit in the location or court jurisdiction where the collision occurred, where the defendant lives, and sometimes where the defendant conducts his business. When you sue someone you have to serve them with the lawsuit so they know they have been sued. A deputy or a private process server serves the lawsuit on the person. Without the defendant’s correct name and correct address, then it would be difficult to file suit against the defendant and serve the defendant with the lawsuit. Sometimes the driver’s license and license plate can help locate the defendant if we don’t have the correct information. If you are involved in a non-reportable collision, be sure that you put the “Exchange of Information” form that the officer gave you at the scene in a safe place, and give it to your attorney when you first meet. So that you can do that, especially if you don’t hire an attorney right away, make sure you keep the Exchange form and any information about witnesses in a place where you can get it later. If you are involved in a non-reportable or minor collision, should you hire Allen and Allen or another personal injury attorney to represent you, your attorney will need whatever information you can provide about the defendant and the incident. As your attorneys, we would build on that information through investigation and research, and confirm the information you provide us, in order to provide the best representation to you that we can. For more information, please contact us at https://www.allenandallen.com/locations/. 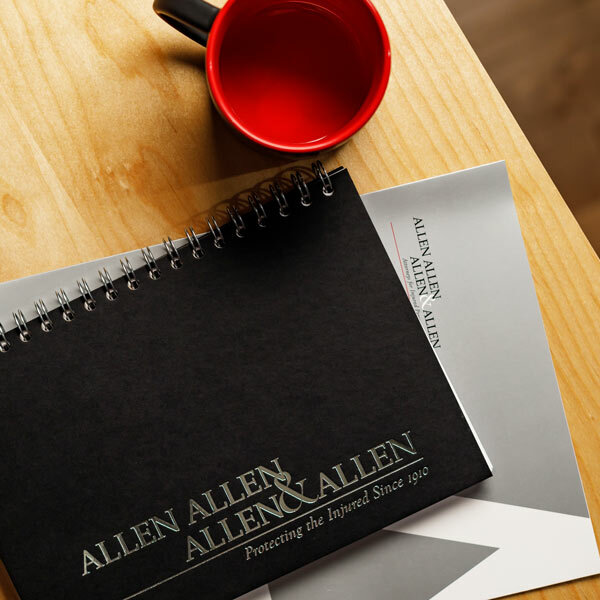 About the Author: Clayton Allen is a seasoned personal injury attorney in the Mechanicsville office of Allen & Allen who has successfully handled all types of personal injury cases including car accidents, truck accidents and wrongful death. With over 20 years of experience, he is known for negotiating settlements with difficult insurance companies and for handling complex cases. A Virginia “Police Crash Report” can be obtained from the Virginia Department of Motor Vehicles (DMV). See Va. Code §46.2-373, at http://law.lis.virginia.gov/vacode/title46.2/chapter3/section46.2-373/. There is no state-wide form for non-reportable accidents that is used by the police departments in Virginia. Some police departments use the form that an individual can use to report an accident to DMV themselves: the Form FR200. However, most police departments in Virginia have designed their own form. Virginia law requires a driver to stop, etc., in the event of an accident involving injury or death or damage to property, and to exchange information with the other driver. See Va. Code §46.2-894, at http://leg1.state.va.us/cgi-bin/legp504.exe?000+cod+46.2-894. See Va. Code §46.2-371 at http://law.lis.virginia.gov/vacode/title46.2/chapter3/section46.2-371/. The location where a lawsuit can properly be filed is referred to as the “venue”. In Virginia, statutes determine where you can file a lawsuit in a particular case. (See Va. Code §§8.01-261 and -262 for the main venue statutes, at http://law.lis.virginia.gov/vacode/title8.01/chapter5/section8.01-261/ and http://law.lis.virginia.gov/vacode/title8.01/chapter5/section8.01-262/).